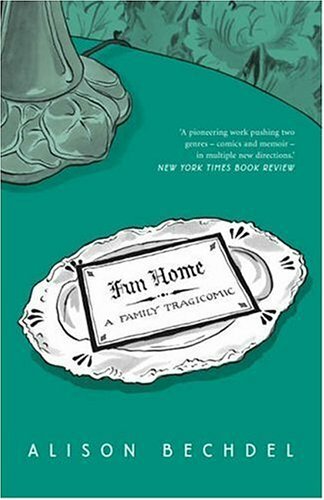 In 2014, South Carolina legislators displayed their utter disregard for academic freedom when they attempted to enact punitive budget cuts against two public institutions of higher education that utilized LGBTQ-themed books–including Alison Bechdel’s Fun Home–in voluntary reading programs for students. Sadly this sort of ideological meddling continues to spread in other states, as University of Wisconsin professor Donald P. Moynihan outlined in a recent column for the New York Times. No student has ever demanded that my classes include a trigger warning or asked for a safe space. But my colleagues and I have been given much more reason to worry about the ideological agendas of elected officials and politically appointed governing boards. Students can protest on the campus mall, demanding that policies be changed; elected officials can pass laws or cut resources to reflect their beliefs about how a campus should operate. One group has much more power than the other. This month, Nass again threatened the UW budget over the Men’s Project, “a six-week voluntary discussion program that ‘aims to explore masculinity and the problems accompanied by simplified definitions of it’.” In the senator’s view, the fact that the university is able to offer such a program–which aims in part to reduce sexual violence on campus–is somehow proof that the system is overfunded and needs budget reform. After having seen tenure protections weakened in the last legislative session, Wisconsin professors now face the prospect that legislators will allow guns in classrooms, something our private peers will not have to contend with as they seek to protect a climate conducive to vigorous debate. Complaints about campus speech that focus on the demand for safe spaces in private settings are not just quaint by comparison; they create a blind spot about more serious threats to free speech. The risk is that legislators and others who see themselves as protectors of free speech on campus come to treat it as an à la carte menu. They lecture students that a higher education experience means listening to challenging perspectives, even as they ignore or actively support the erosion of the structural conditions that allow such speech. Unfortunately, more and more state legislators seem to have lost sight of public universities’ role in producing well-rounded citizens and human beings, rather than just a well-trained workforce. Check out Moynihan’s full column here.